Rev. 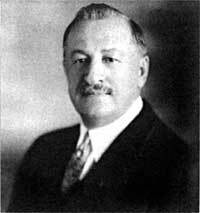 George Heinrich Graf was born on March 30, 1872 in Dobrinka, Russia, the son of Johann Christian Graf. George married Katharina Elisabeth Clauser on January 28, 1894 in Dobrinka. Katharina was born on April 28, 1872 in Dobrinka, the daughter of Georg Heinrich Clauser and Maria Katharina, née Wolf. In Russia, George served as a school teacher. In 1907, George and Katharina immigrated to the United States departing from Bremen, Germany on April 16, 1907 aboard the steamship Kohn. After arrival in Baltimore, George and Katharina settled in Ft. Collins, Colorado where a friend, David Graff was living. George entered the Chicago Theological Seminary in the fall of 1907 and applied for U.S. citizenship on December 20, 1910. Katherina worked long hours in Chicago to provide adequate income for she and George and was a tireless helper throughout their marriage. George completed his seminary studies and was ordained in 1911 at the Ebenezer Congregational Church in Sheboygan, Wisconsin. Rev. Graf served in Sheboygan and Oshkosh, Wisconsin (1911-1914), Sutton, Nebraska (1914-1915); Lincoln, Nebraska at the Zion Congregational Church (1915-19); the Ft. Morgan, Colorado Christus Congregational Church (1919-1922); and the Bethlehem Congregational Church in Berthoud, Colorado (1922-1923). The Graf's became friends with the Gottfried and Effie Metzler family from Dobrinka when they lived in both Chicago and Sheboygan. The Metzler's moved to Portland by 1900 and this may have influenced the Graf's decision to come to Portland in 1923. Gottfried Metzler passed away in 1924 leaving Effie as a widow. One daughter, Lydia Metzler, married Henry Sinner. One of the older Metzler boys married Mrs. Graf's sister. Another daughter, Eva Metzler, married Henry Maier in 1903. Rev. Graf was pastor at the Ebenezer German Congregational Church in Portland from 1923 to 1933. Mrs. Graf died on October 6, 1925 in Portland and was buried at the Rose City Cemetery. The Ladies Aid formed a row at her burial and placed roses on her coffin. Rev. Graf retired from the ministry in 1933. On April 22, 1938, he died in Troutdale, Oregon and was buried at Rose City Cemetery. Eisenach, George J. A History of the German Congregational Churches in the United States. Yankton, SD: Pioneer, 1938. 285. Print. Schlager, Lee Ann. Research on George H. Graf from Dobrinka. Obituary for Rev. George Henry Graf, The Sunday Oregonian [Portland], April 24, 1938. Obituary for Katherina Elisabeth Clauser, Die Welt-Post [Lincoln], November 5, 1925, page 5.